Recently I received some products from Banggood store and I'm glad to share my opinions about them with you all. 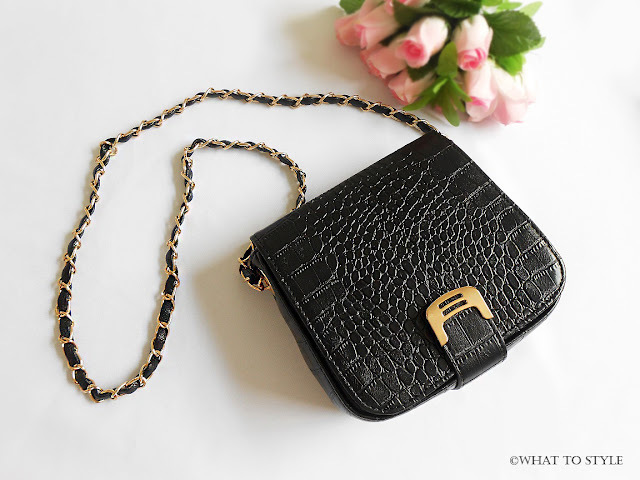 Starting today with this beautiful Crocodile PU Leather chain strap bag (yes, it's fake leather), I must say that I'm very impressed with the versatility of it, since you can match it with different outfits and different occasions, adapting this bag with many styles: casual, street, elegant, work wear etc. I'm such a great fan of crossbody bags, since I'm not much for carrying bags onto my arms or hands, choosing the comfort, and this Banggood bag provides me this feeling. Another thing I'm enjoying about it is the inner space, even being a "small" bag, you can put your glasses/sunglasses case, cell phones and and other things that can not miss in our bags, that fits perfectly! Why do I recommend it? First of all, the price is a bargain; the quality is great and the versatility is something to invest on! Recentemente recebi alguns produtos de loja Banggood e estou feliz em compartilhar minhas opiniões sobre eles com vocês. 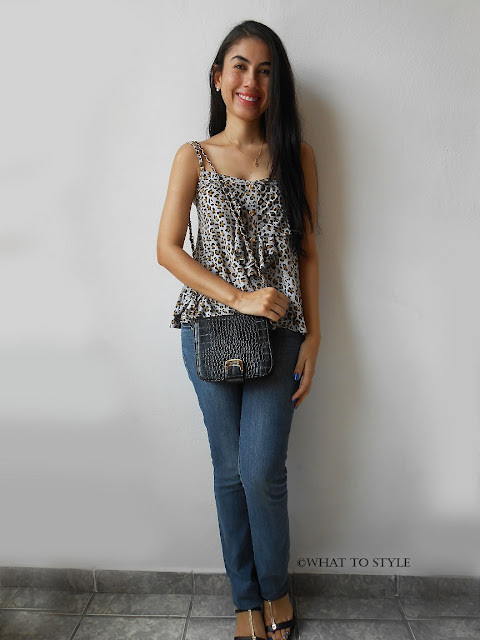 Começando hoje com esta linda bolsa de couro de crocodilo com alça de corrente (sim, é couro sintético), devo dizer que estou muito impressionada com a versatilidade do produto, desde que você pode combiná-lo com diferentes looks e diferentes ocasiões, adaptando esta bolsa com vários estilos: casual, street, elegante, trabalho etc. Sou uma grande fã de bolsas crossbody, já que não curto muito carrega-las em meus braços ou mãos, optando pelo conforto, e esta bolsa da Banggood me oferece isso. Outra coisa que gostei é o espaço interno, mesmo sendo uma bolsa "pequena", você pode colocar o estojo de óculos, celulares e outras coisas que não podem faltar em nossas bolsas, que caberá perfeitamente! Por que eu a recomendo? Antes de tudo, o preço é uma barganha; a qualidade é muito boa e a versatilidade é algo para se investir! This bag is so pretty!!!! what a pretty faux leather bag. great find, thanks for sharing! Que bolsa linda, dá pra usar com vários tipos de look mesmo amei. Super cute! Great style girlie. Your hair is gorgeous and I love the denim. I've been looking for a while for a crossbody black bag. This one is very nice. You look very beautiful, Jessica. I just had to say you have the most beautiful long and lovely hair! I've just come across your blog but I will definitely be sticking around. Bem linda essa bolsa, adorei a combinação com o look. Beautiful outfit! I love all the different views of the bag in your photos. Que linda!!! Amei a bolsa, o máximo. Achei perfeita essa bolsa Jessica. Preciso que você me mande um e-mail para luluontheskyblog@gmail.com para que eu envie as perguntas. This is a stunning bag. I love it paired with your outfit. The bag is actually really cute. Love that it can be styled with any look and would look great. Also, perfect size and shape! Love it! 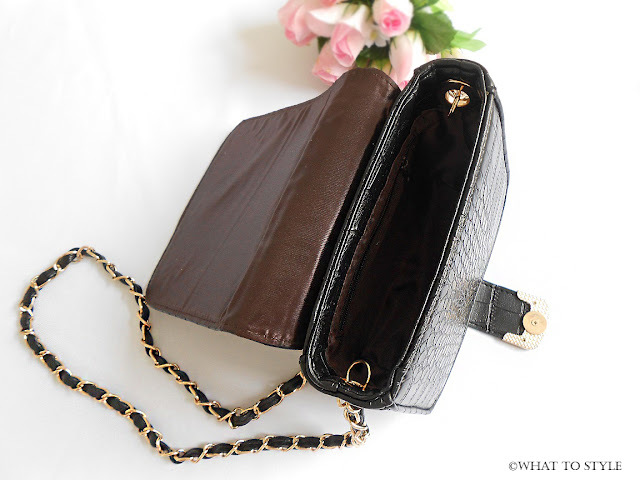 Pretty faux leather bag. I love how compact it is.. I like crossbody bags too, seems so practice! This modelo is very nice. Love your bag! So classy! Such a pretty bag! I love the pattern; it can make any outfit elegant! such a cute bag!! i love it. Look maravilhoso arrasou, amei a bolsa, tenha uma semana abençoada. Love the blouse and bag, lady! Too cute! Such a beautiful bag! 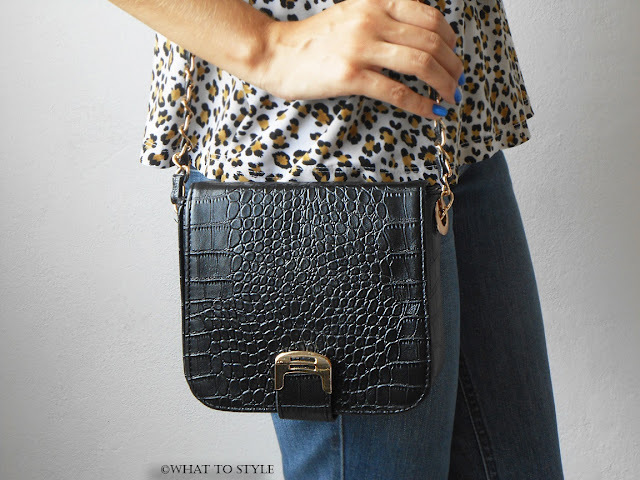 I love the croc texture, shape and oversized buckle! It also looks great worn with your beatify leopard blouse, so pretty! Thanks so much for sharing and I hope you're having a great start to your week so far, girlie! Awesome bag! I love the texture and think it is easy to combine to almost everything. you look amazing. cute bag. That bag is gorgeous!! I love it! Apaixonada pela bolsa, linda demais. Linda. Adoro bolsas desse tamanho. I love your purse! So classy!! Great bag and lovely look! Ha ha I'm the same - sometimes I'm too lazy to actually have to carry a bag. I LIVE in shoulder bags that I don't have to think about! Love this bag hun, looks so well made and very classic/chic. The perfect accessory! 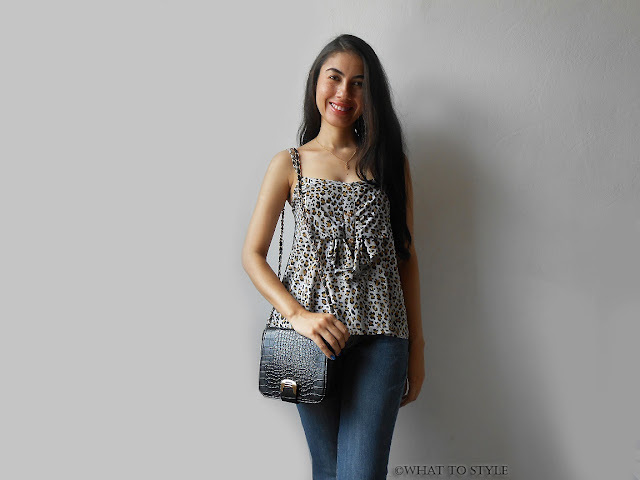 Love the top and bag, and you're so pretty! So pretty! Obsessed with that bag! Ooo that's nice, I love printed bags and such! I have read a lot about Banggood but personally never bought anything from them. It's really good to know that the quality is there, it seems to be a really popular website with fashion bloggers. pra ser sincera eu não gosto muito de bolsas! se for pra usar alguma eu prefiro uma assim, pequena! aliás só tenho uma bolsa e ela é pequena! hahaha então eu super usaria, achei ela linda com esses detalhes! The bag looks cute on you ! Love it..
Great outfit, makes me excited for spring and summer! I have worked with Banggood before, and had a good experience. This bag is adorable! Aw that bag is super cute and elegant! I love it!